Renaissance Alveus Airspa Bath 1700 x 700mm / 1700 x 800mm / 1800 x 800mm Extra Thick Ar..
Renaissance Ashcot Airspa Bath 1700 x 700mm or 1700 x 750mm Extra Thick Armour Plus Reinforcem..
Renaissance Buxton Airspa Bath 1800 x 800mm Extra Thick Armour Plus Reinforcement. Dedicated..
Renaissance Calypso Airspa Bath 1500 x 850mm / 1700 x 850mm Extra Thick Armour Plus Reinforcem..
Renaissance Compact Airspa Bath 1700 x 700m Extra Thick Armour Plus Reinforcement. Dedicated..
Renaissance Cultura Airspa Bath 1700 x 700mm or 1700 x 750mm Extra Thick Armour Plus Reinf..
Renaissance Dynamo Airspa Bath 1700 x 850mm Extra Thick Armour Plus Reinforcement. Dedicated..
Renaissance Grove Airspa Bath 1600 x 700mm / 1700 x 700mm Extra Thick Armour Plus Reinforcemen..
Renaissance Jubilee Airspa Bath 1700 x 700mm / 1700 x 750mm / 1800 x 800mm / 1800 x 900mm Extr..
Renaissance Krest Airspa Bath 1700 x 700mm Extra Thick Armour Plus Reinforcement. 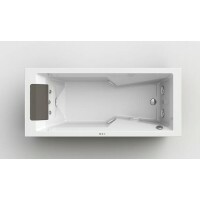 Dedicated ..
Renaissance Mirage Airspa Bath 1700 x 700mm / 1700 x 750mm / 1800 x 800mm Extra Thick Ar..